There are many different activities that can be enjoyed in or near bodies of water. And that number is growing, thanks to man’s creativity and thirst for speed, excitement, fun, and danger. Water sports can be an individual or a team activity. Nothing could be better than a vacation filled with the thrill of water sports. The world is full of fantastic locations where people can enjoy their favorite water sports all year around. You only need to know where these places are—very easy to do due to the magazines, tourism ads, and blogs like ours. Get ready to experience the awesome adrenaline as you get immersed in these water sports. The world under the waves is beautiful, mysterious, and sometimes full of danger. There is an abundance of incredible, colorful, and rare marine life under the sea. To explore this world, you need to be a scuba diver. With the use of scuba gear, you can breathe and swim underwater like a fish. And because you can breathe underwater, you can stay longer there, enjoy greater independence, and experience more freedom than snorkelers and free divers. 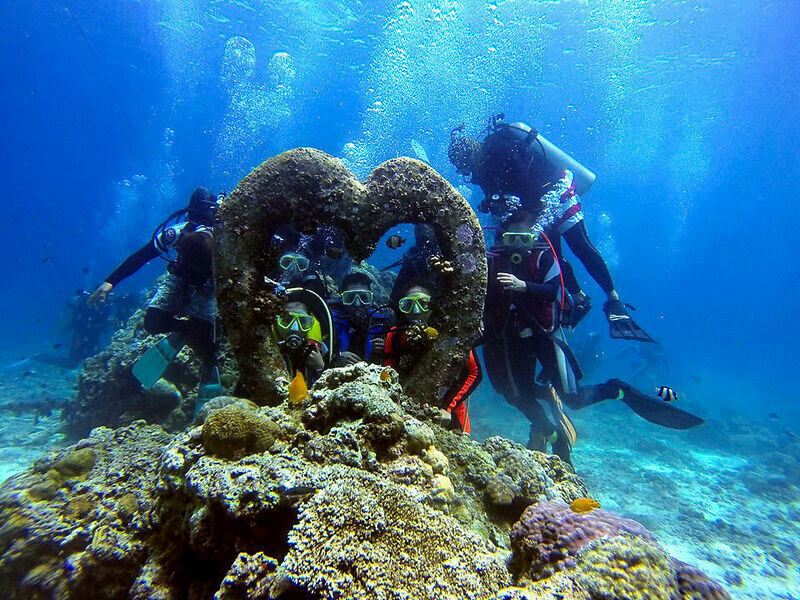 Recreational diving is usually done from 60 to 200 feet (18 to 60 meters), depending on your license and certification. More advanced types of diving such as cave diving, wreck diving, etc. involves further training, specialized gear, and certifications. Now, this is not as difficult as you think. Dive shops and outfitters all over the world have skilled and experienced professionals who can help you explore the underwater world safely. Great destinations to enjoy scuba diving: There are plenty of stunning diving spots across the world such as Apo Island, Balicasag Island, Panglao Island, Anilao, and Mactan Island in the Philippines; The Great Barrier Reef in Australia; the Bahamas, Cayman Islands, Hawaii, Galapagos, and Florida Keys. Surfing is an exciting, adventure-filled water sport where you stand on a board and ride large waves as they roll to the shore. The surf board responds to every action, every body position, even your breathing, so surfing demands agility and a good sense of balance. But once you get the feel of the sport, you can ride the waves confidently and do some tricks; that’s where the fun begins! 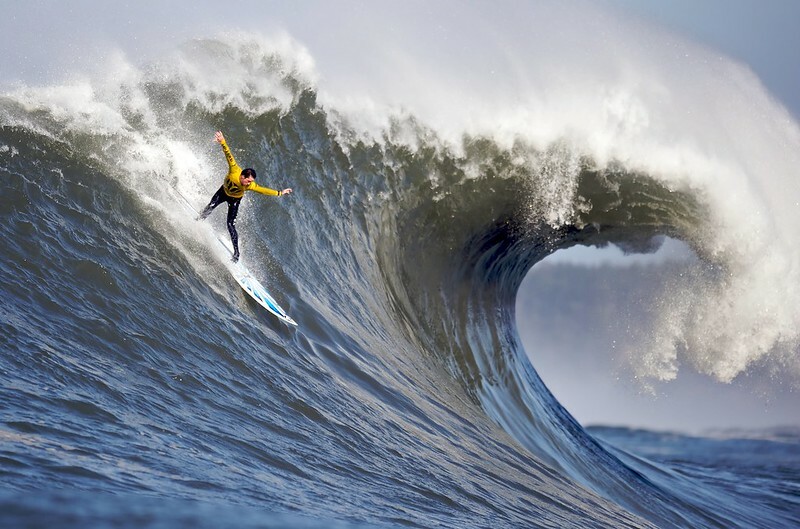 Surfing remains one of the most popular water sports for both men and women. Great destinations to enjoy surfing: The beautiful coastline of Costa de la Luz and Essaouira are perfect settings for surfing because of the ideal wind conditions. Some other popular sites for surfing include Hawaii, Jeffrey’s Bay in South Africa, Maverick’s in California, and Hossegor in France. 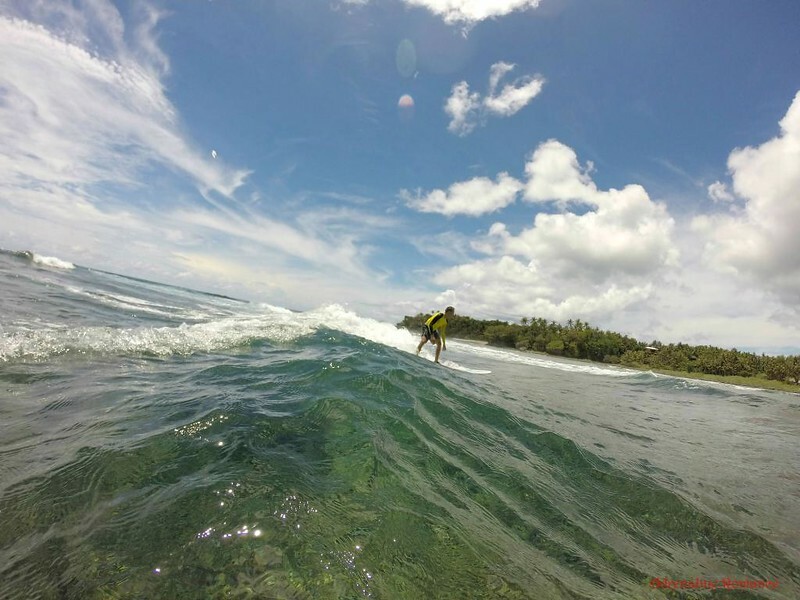 In Philippines, popular surfing spots are Siargao, Baler, and La Union. Playa de Famara in Europe is famous as great surf paradise for those who are new to surfing thanks to calm waters and good winds throughout the year. Kayaking is one of the top sports for travelers to embark on watersports holidays. Kayaking involves using a double-bladed oar to paddle a kayak, a small boat that could accommodate one or two people. It is a great exercise for the upper body! The versatile sport can be enjoyed by anyone and can be done in ponds, lakes, or the sea. However, adrenaline-seeking adventurers can also try to test fate by kayaking on raging rapids, massive waterfalls, or huge ocean waves. Great destinations to enjoy kayaking: Some of the most popular kayaking destinations include Tibiao River in Antique, Philippines; Boundary Waters in Minnesota; Kenai Fjords National Park; The Dalmatian Coast; Fijian Islands; and Halong Bay in Vietnam. Lake Tahoe in California is also a favorite spot for kayaking. The popularity of paddleboarding is steadily indeed increasing. Also known as stand-up paddle boarding, it involves standing or kneeling on a broad board and propelling it with a long, single-blade paddle. It’s easy to learn, and kids can even enjoy it! It’s a great exercise as well. 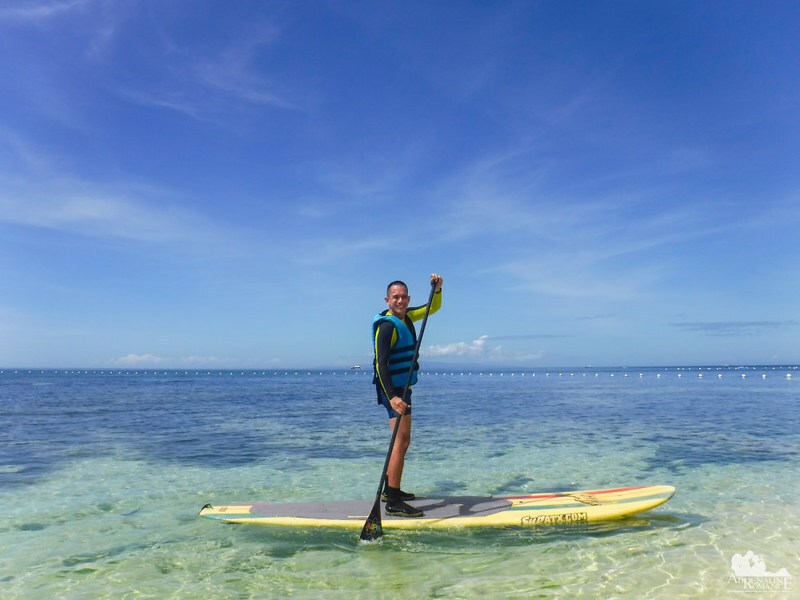 Great destinations to enjoy paddleboarding: Some of the best spots to make a splash on is Santa Barbara, California, Seattle, Costa Rica, Bahamas, Redondo Beach in California, Puerto Vallarta in Mexico, and stand-up paddle boarding in Batangas in Philippines. 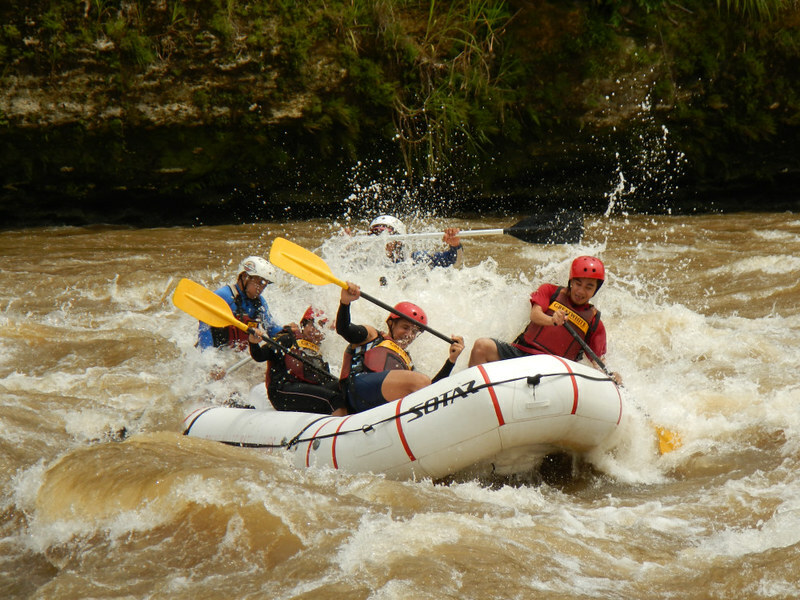 Whitewater rafting is a sport that is for those who want a wet and wild adventure. And in most cases, you need a team that you can rely on as you try to stay afloat while facing churning waters and being tossed in all directions. Whitewater rafting requires you and your team to ride an inflatable raft along a fast-flowing river filled with rough rapids. You fall down waterfalls, hit the rocks, and doge the whirlpools. Some rapids may be challenging and dangerous that they can claim the lives of the unwary. 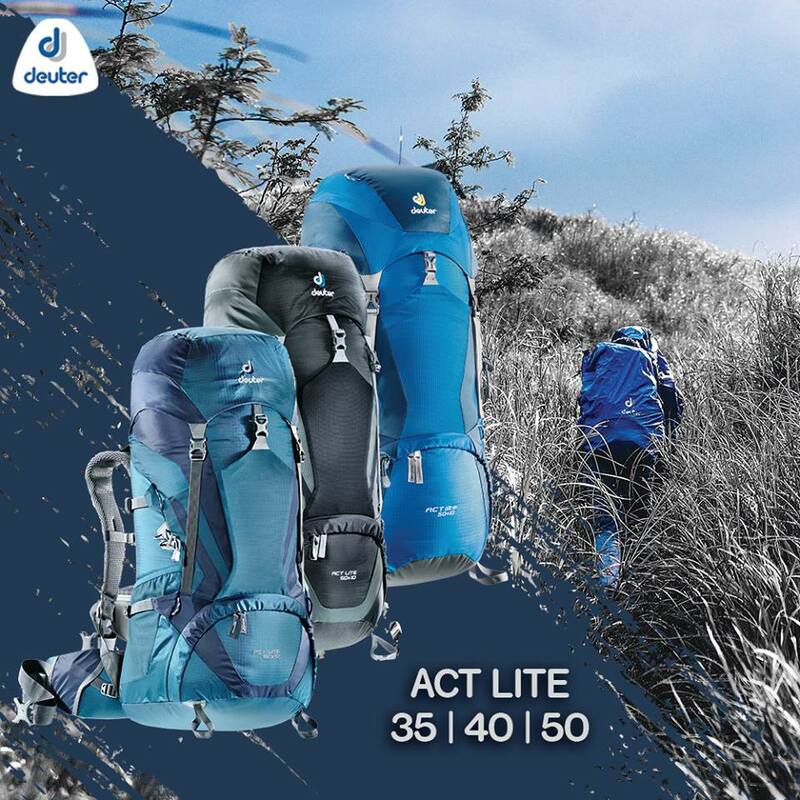 Indeed, the sport is perfect for those bitten deep by the outdoor adventuring bug. Great destinations to enjoy whitewater rafting: Some of the best rafting destinations in the world include Cagayan de Oro River in the Philippines, Middle Fork and Colorado River in the USA, Chilko River and Magpie River in Canada, Futaleufú River in Chile, and Zambezi River in Zimbabwe. 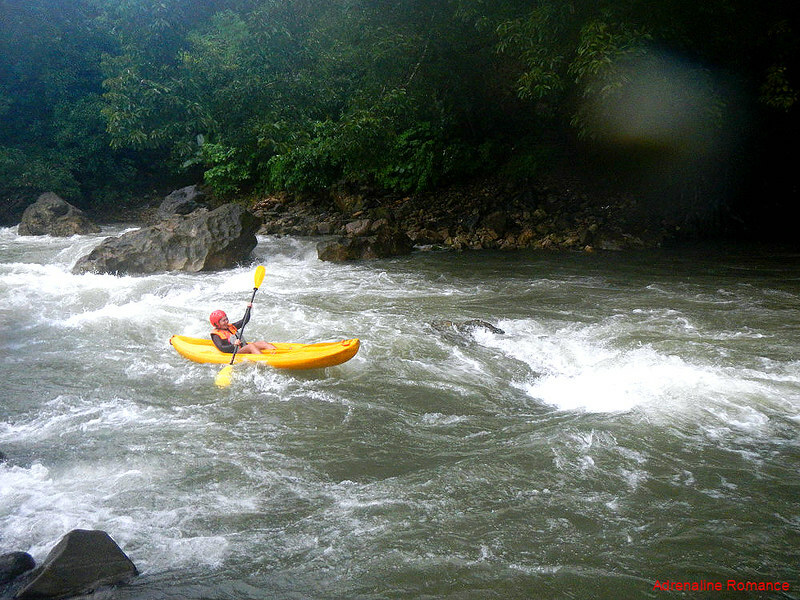 There are also very cool whitewater rafting adventures in Southeast Asia. Jet skiing is for those who feel the need for speed. The watercraft propels its passengers at high speeds; the most powerful ones can reach 110 kilometers (70 miles) an hour! Some jetski drivers even use waves as ramps, letting the watercraft jump through the air and land down in a splash! Because you are riding a well-tuned machine, you need to be careful in controlling a jetski. Of course, you can start out easy and slow. Driving a jetski may seem weird at first since you need to apply thrust to turn (in most other land vehicles, you slow down to turn). But as you become more confident and get better at the controls, you can truly enjoy the ride of your life! Great destinations to enjoy jet skiing: Some, of the most exhilarating spots where you can enjoy jet skiing include Lake Travis near Austin, Canyon Lake, Lake Amistad, The Gulf Coast, and Lake Conroe. 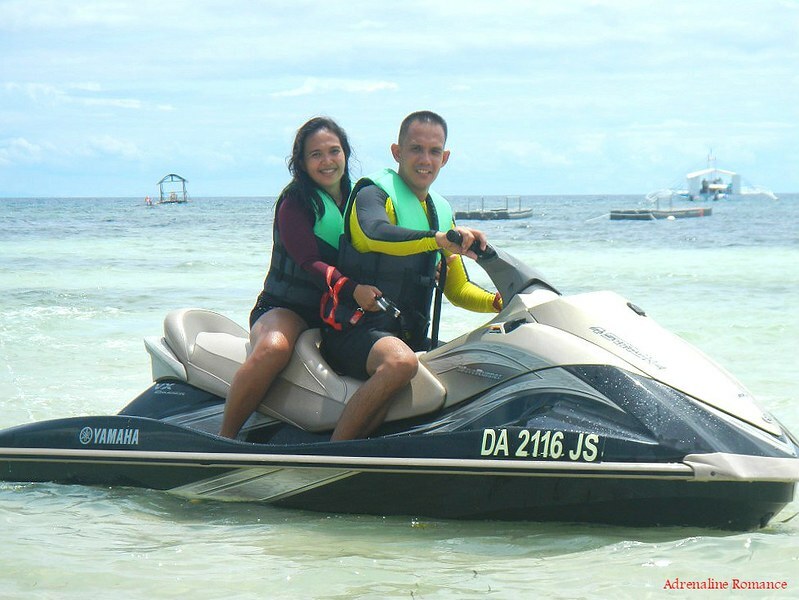 Many resorts in the Philippines also offer jetski rentals. Rather than floating on water, how about flying in the air while you enjoy an amazing view of the ocean and the coast? 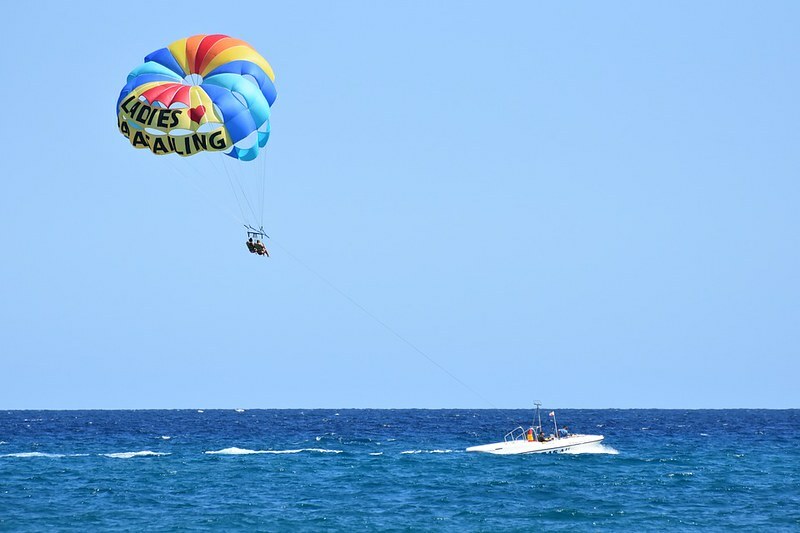 You can do that through parasailing! You strap yourself to a specially designed parachute connected by a tow cable to a boat. Air fills the chute as the boat moves, and you get lifted in the air. In theory, you can go as high as the tow cable will allow you although parasailing operators usually limit the height for safety purposes. Parasailing combines the thrill of acceleration and altitude. Up in the air, you enjoy those scenic views while experiencing the thrill of flight at the same time. No strict training is required, but there are safety protocols involved. As long as you follow the rules, you will be able to just sit back, relax, and enjoy your flight. Great destinations to enjoy parasailing: The Caribbean is a hot favorite to enjoy the sport all summer. Some of the most popular spots for parasailing include Miami, Cape Town, Sydney Harbour, Goa, Hawaii, and Key West. What are you waiting for? This summer, let’s get wet and enjoy these amazing watersports! This will definitely be my go-to guide whenever I want to go do fun adventure activities. I’ve done skydiving in Colorado, scuba diving in Cozumel, parasailing in Myrtle Beach and they were pretty amazing too! I’ve travelled for surf and paddle boarding several times to Central America, loved the water there. Everything is fun on its own way. I’ve been paddleboarding for years and my next experience will hopefully be rafting somewhere in Greece. Ack, and I can only say I’ve traveled for two of them: whitewater rafting, and surfing. Although the water wasn’t always white on my journey, eh. Beyond the activities, it seems that in general, people travel to be near water, usually a coast but a river will also do nicely. But I like the idea of doing something in the water instead of just laying on a beach besides it. Thanks for the list. I’ve done everything that you’ve mentioned here apart from Paddle Boarding! I wish I was good at balancing! I have always wanted to be a bit more adventurous when it comes to sports like these, but I’ve never really found a good fit! I tried scuba diving but couldn’t pop my ears because I think I had a cold when I went, so I need to try it again and see if I can do it. Maybe I could also try paddleboarding! I like how you list good destinations for each of the sports you mention. Thanks for sharing!